Wolves are superbly constructed and adapted for their particular role in an ecosystem - predators that pursue a large and small prey over different kinds of terrain: open plains, dense forest, deep snow, steep slopes and into the water if need be. 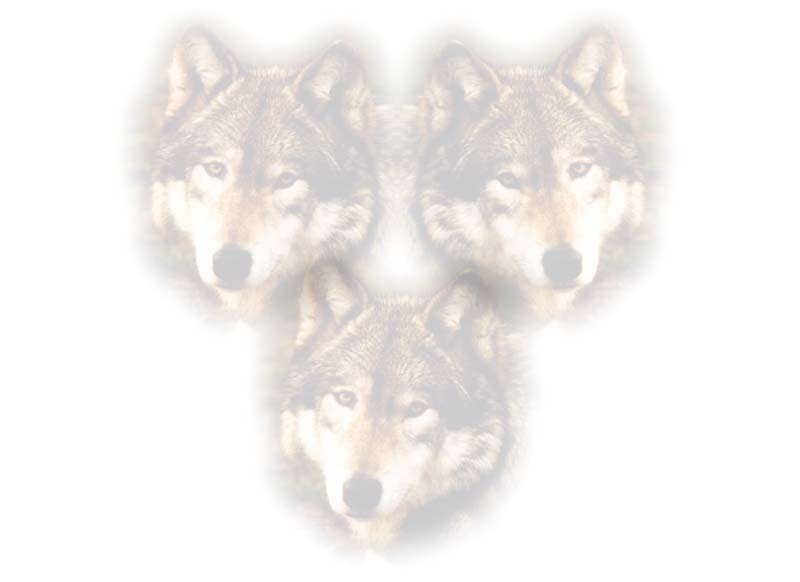 Wolves are highly social animal, generally living within the same pack for most, if not all, of its life. Survival depends very much upon the pack. Pack members cooperate in hunting, killing large prey, feeding and caring for the young, defending their territory against other packs, and so forth. The pack functions mostly as a strong autocratic system, with each individual having fought for its placement or rank within the group. Generally only the top male and female are permitted to breed, while any attempts to do so by others are punished. When to hunt, where to hunt, and many other activities are also commonly determined by the pack leaders. 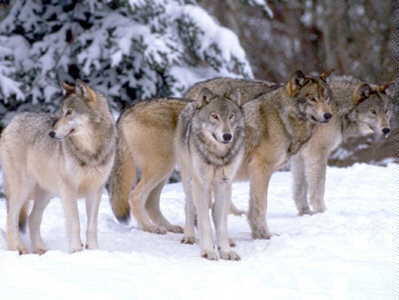 Wolves live in family groups called packs. A pack is usually made up of a male leader (alpha male), a female leader (alpha female), their pups and a few other adult wolves who are the older brothers and sisters. The pack works together to hunt for food and to take care of the pups. 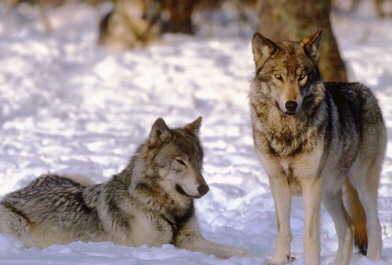 An average adult female wolf in Minnesota weighs 60 to 80 pounds. Males usually weigh 80 to 90 pounds. Pups weigh about 1 pound when they are born (in the spring), but grow quickly. They reach adult size by 9 months of age and will run with the pack their first winter. Wolves are predators. This means they kill and eat other animals for food. 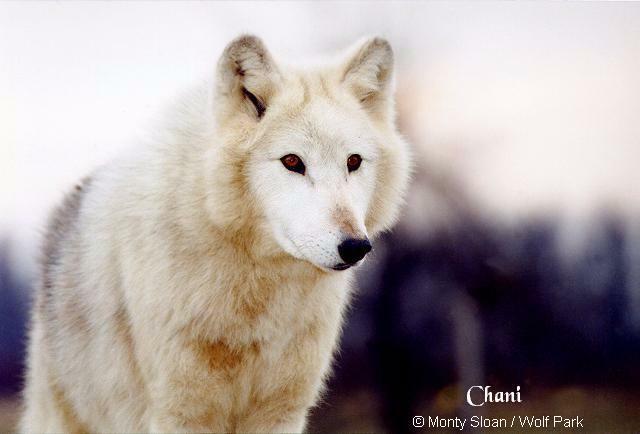 Depending on where they live, wolves live mainly on the meat from such animals as deer, moose, elk or buffalo. They also eat beaver, rabbit and even mice. They do not eat humans. In fact, wolves are very shy around people and try very hard to avoid them in the wild. Because they usually hunt for large animals, the wolves work together to catch their prey. They usually catch animals that are sick, injured, very old or very young, because they are easier to catch. Wolves will certainly eat a healthy, strong animal if they can catch it. Wolves need an average of 3 to 1 0 pounds of meat each day. Hunting is not always successful, so their bodies are designed to feast (eat a lot) or famine (eat nothing). Wolves can eat as much as 20 pounds of meat at a time and then may not eat again for many days. Wolves have developed lean, muscular bodies set on long, powerful legs to be able to pursue prey. Wolves are built for endurance and running; they can average around 25 miles per hour for several miles and 35 to 40 miles per hour for short bursts. 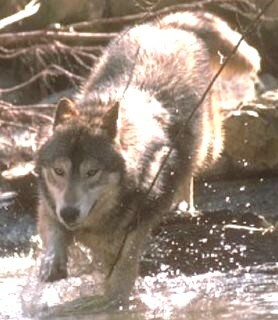 The wolf's expert hunting ability comes from a combination of speed, stamina and strategy. Because wolves have narrow chests and outward-splayed forelegs, their hind legs can move in the same track as their front legs - an advantage in covering ground efficiently. Wolves' large, well-padded feet help to spread their weight over snow and allows them to efficiently grip irregular surfaces like rocks and logs. Weight (male): 45 - 175 lbs. Weight (female): 40 - 120 lbs. Length 4.5 to 6 feet, including tail; Height 26 to 34 inches at the shoulder; Weight 70 to 110 pounds - females generally 5 to 10 pounds lighter than males; Coloration ranges from white to black with combinations between with gold, tan, brown and rust (a single litter can contain a variation of colors). Most of the northern hemisphere, throughout the world to the southern borders of Chihuahua and Durango in Central America. Stable throughout Canada and Alaska. Smaller populations exist in Minnesota, Wisconsin and Montana. Reintroduction has been considered successful in Idaho and Yellowstone National Park. Efforts are currently underway to restore Mexican gray wolves to public lands in Arizona and New Mexico. Red wolf reintroduction efforts in The Great Smoky Mountains was called to a halt in October of 1998 due to an insufficient prey base. A number of red wolves have been successfully reintroduced into the Alligator River National Refuge in North Carolina and plans to find another site comparable to the Rockies are underway. Nearly all habitats except tropical rain forests and arid deserts. Protected under the Endangered Species Act in the United States, except Alaska. 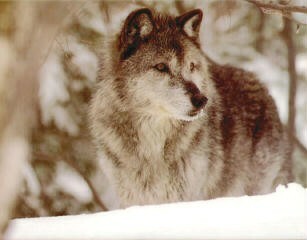 The wolf is listed as endangered in the lower 48. Minnesota may be the first state to 'deist' the wolf. Consists primarily of members of the deer family: moose, deer, elk and caribou. Wolves also eat beaver, rabbits and mice. Wolves breed once a year. Their breeding season is usually January through February. The mother gives birth 63 days later, roughly in April or May, to a litter of 4 to 8 pups, each weighing about 1 pound. The pups are born in a den, where they will stay for the first 6 to 8 weeks of their life. When the pups are first born they cannot see, hear or maintain warmth and they need constant care from their mother. By to 8 weeks of age, the pups will venture out of the den and begin their life of learning how to be a predator. Roughly 6 - 10 years in the wild. They can live up to 18 years in captivity. You think you own what ever land you land on... The earth is just a dead thing you can claim... But I know every rock and tree and creature... Has a life, has a spirit, has a name... You think the only people who are people... Are the people who look and think like you... But if you walk the footsteps of a stranger... You'll learn things that you never knew... you never knew... Have you ever heard the wolf cry to the blue corn moon.... Or asked the grinning bobcat why he grinned ?.... Can you sing with all the voices of the mountain ?... Can you paint with all the colors of the wind ?.... Can you paint with all the colors of the wind ?... Come run the hidden pine tralls of the forest... Come taste the sun-sweet berries of the earth.... Come roll in all the riches all around you.... And for once never wonder what they're worth.... The rainstorm and the river are my brothers... The heron and the other are my friends.... And we all connected to each other... In a circle, in a hoop that never ends... Have you ever heard the wolf cry to the blue corn moon.... Or let the eagle tell you where he's been ?... Can you sing with all the voices of the mountain ?... Can you paint with all the colors of the wind ?... Can you paint with all the colors of the wind ?.... How high does a Sycamore grow ?... If you cut it down then you will never know... And you'll never hear the wolf cry to the blue corn moon... For whether we are white or copper skinned.... We need to sing with all the voices of the mountain... We need to paint with all the colors of the wind... You can own the earth and still.... All you own is earth until... You can paint with all the colors of the wind. Copyright © 1999 DietHell's Cat International. All rights reserved.